This web-page contains many theories, None have been peer reviewed. 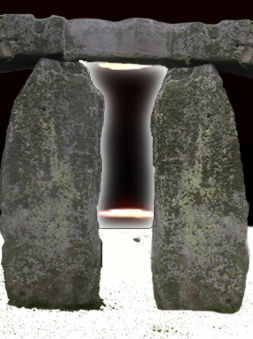 In some instances, Stonehenge somehow is synonymous to the paranormal, This web page does not deal with the paranormal. But does deal with an effort to fill the void left by orthodox-science, driven scared not to explain the very reason for Stonehenges existence. If you read carefully orthodox interpretations, you might be compelled to believe that science has tabous which no sane scientist will venture. 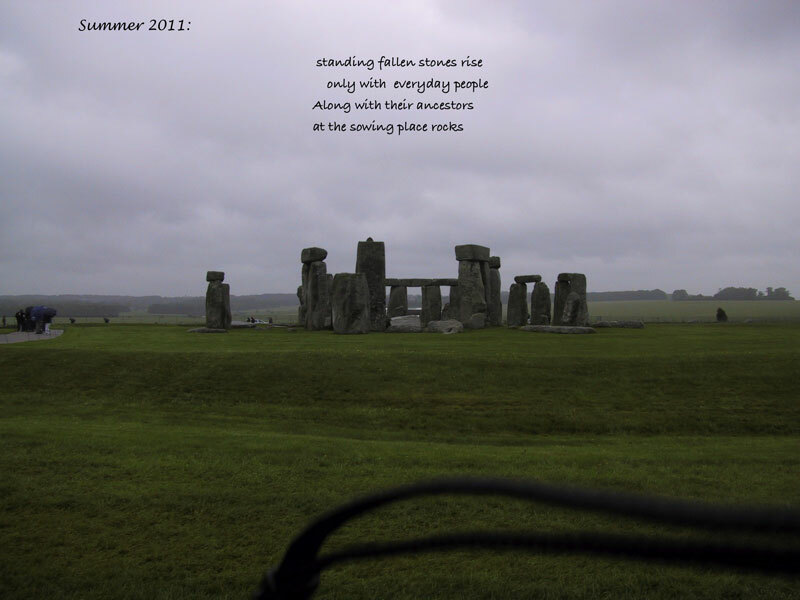 In the case of Stonehenge, the serious literature about it is dry but mainly blind. Then there are paranormal theories, which are colorful and vivid with imagination. This page deals with what is physically possible, all while being colorful and striking. For Stonehenge was not just a bronze age make work project but rather a very intelligent construction dedicated to understand our world. This work is at a very preliminary stage, where actual research needs to be done in Ireland, the UK and Northern France. Very few of the ideas below have been documented yet alone observed at these locations. Proper science requires repitition on many occasions. That will happen when there will be researchers in the field. The ideas proposed come from my other research efforts which have multiple observations, repeated and reviewed with actual measurements. I still request potential colleagues who live in the neighborhood of Megaliths, to actually observe, document and report. 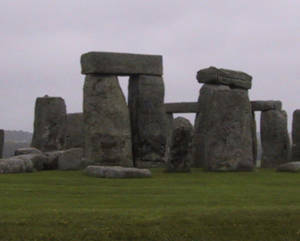 When it comes to discussing about Stonehenge, it seems much easier to move 28 Ton stones manually than to move present thoughts found in the collective consciousness. With individual thinking currently trapped, mesmerized by mind numbing popular technologies, powerful tools, totally foreign to the builders, particularly devoid of human sight. Knowledge acquired by science is a never ending process, at its best, forever free to yield to the better fact or theory. At its worst, festering and stifling new ideas, insuring a stagnation frenzy guided by inertia, a belief system similar to religion. Stonehenge designers had a purpose in mind, impossible to rekindle by modern methods or thought, this vision seems hopelessly lost. The challenge from Stonehenge, now ruined along with its purpose, is to seek this vision, regain it , and to explore its meaning. For this, current day human eyes must transcend the past just to briefly revisit the world of our ancestors beyond the faint presence felt by their megalithic creations. "The question is: can we see this far back?" challenge your traditionnal thinking news! What does picture 2 and 3 look like? Thermal capacity of the stones may in fact help cause small localized mirages. Written summer of 2004. It is a request to find a colleague in the UK willing to do some research. This was inspired by a single sighting of a Megalith giving a mirage due to warm weather. So far no one has come forward to contribute some time and effort. An Eye witness from Wales reports observing a Megalith giving a mirage of a flat sun. It is a very significant breakthrough. Must thank Karen, now living in Saskatchewan for her contribution. Written in the summer of 2004. A large request with plenty of pictures to entice an effort to restart the practice of circle observations. Long abandoned, they may help sensitize the public about Climate Change in a big way. Written in 2004. Explaining a possible link between the green Altar stone and green flashes. With the not tried yet suggestion to move heavy stones on frozen soil instead of the recent summer time experiments which looked sort of like very difficult. Written in 2003. I've already noticed some bloggers wildly speculating, without understanding, that this page is an effort to see back in time, to explain Stonehenge and stone Circles. In most instances, the ideas proposed can be proven only with actual field work. 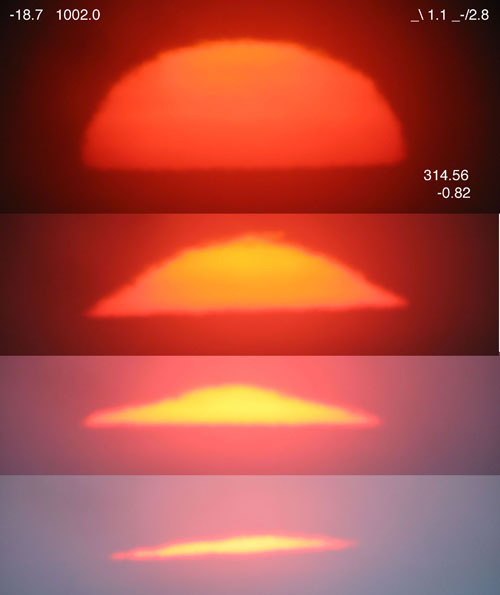 EH2r.com : A massive paper in progress about sun disk transformations near the horizon. It is information from its huge data base which inspired the writting of Stonehenge then. EH2r has sun disk data from both Temperate and Polar climatic regions. The Red Star Project : A work again in progress about estimating total ozone in the sky above you. SirJohnFranklin.com : An essay on the pitfalls found in intercultural ignorance. This ignorance painfully survives to this day, and the intercultural relation lessons that the valiant crews of Erebus and Terror may give, their real legacy, remains ignored.